Canadian graphic designer and award-winning photographer Marianna Armata recently decided to create an interesting challenge for herself: create a series of abstract images using nothing but an all time favorite in stationery, the famed Post-It note and a dash of macro photography. As you can see, these absolutely stunning compositions, whether abstract or dreamlike landscapes, are clever transformations of a quite simple product. She states on Bored Panda, "I spent a few weeks shooting yellow Post-It Notes on a macro scale. 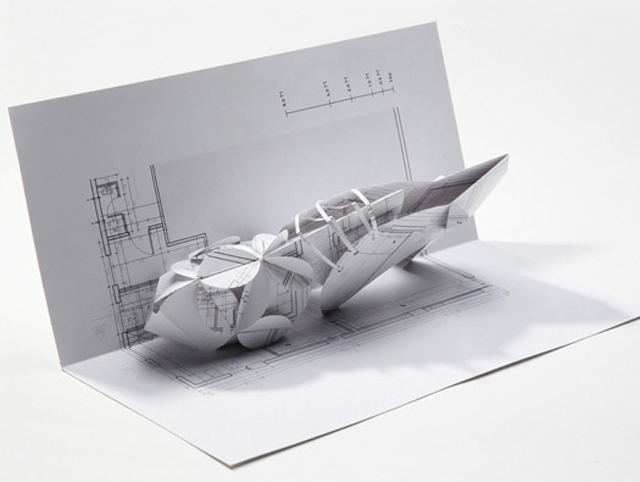 Trying very hard not to fall into the origami genre, I created compositions to highlight the paper itself rather than to use the pages to make something else." Her works have taken a simple medium along with a simple lighting setup and a mound of creativity to produce incredible results. Just in time for the holidays a delightful Christmas stamp collection handcrafted in paper by Helen Musslewhite! 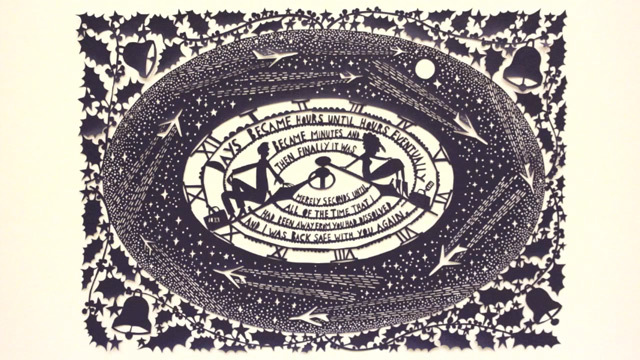 Helen Musselwhite is a renowned paper artist based in the North West of England, whose great eye for color and design shows through in her intricate, layered creations that are sometimes as mind boggling as they are aesthetically pleasing. A lot of her inspiration comes from the British countryside. "The beauty of it never ceases to amaze me," she states from her bio "and, happily, I’m well placed to observe it, living as I do just south of Manchester with one foot in the urban landscape and the other in the countryside. Walking my dog gives me the opportunity to see how my surroundings change from day to day – it’s an unending source of pleasure." 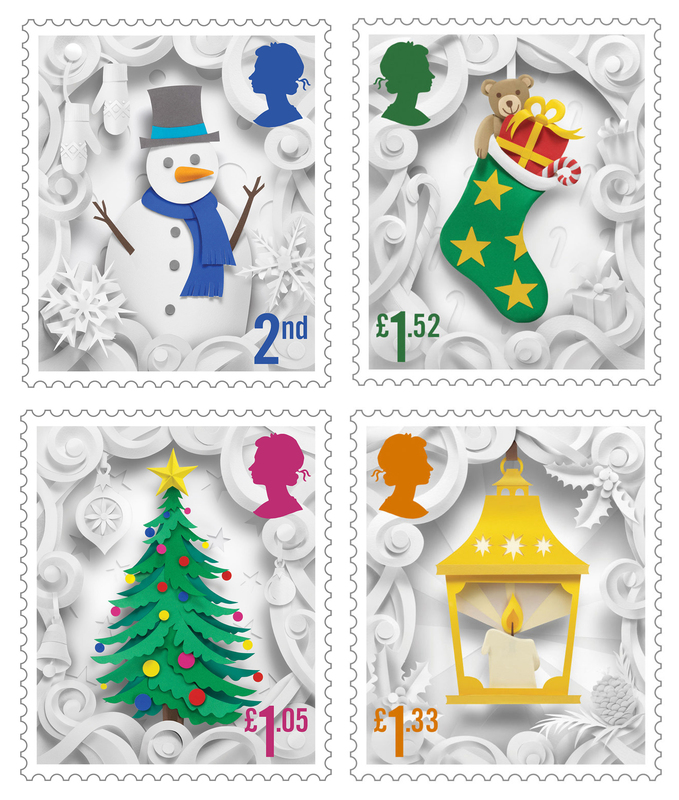 This beautiful stamp collection is the official Royal Mail Christmas 2016 set all completely crafted from paper and then photographed. If you happen to be in the UK, these will be in circulation during Christmas and will be featuring a regal red breasted robin, a delicious figgy pudding, a brightly lit lantern, an adorable snowman, a socked to the brim stocking, and of course a well adorned Christmas tree. Happy Holidays everyone! With over a decade of experience working as a graphic designer in leading branding agencies around the world, London based artist Judy Robinson decided to create something purely for the love of creating. 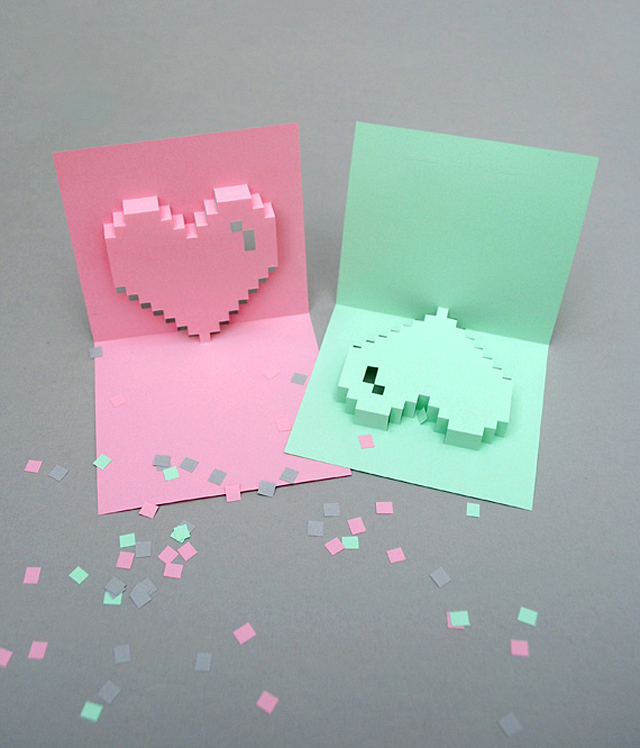 With her passion for papercraft and a love of sophisticated minimalist design Paper Tango was born. Little did she know that her pop-up creations made in her small bedroom in North London would, through the encouragement of family and friends, grow into an international creative business. 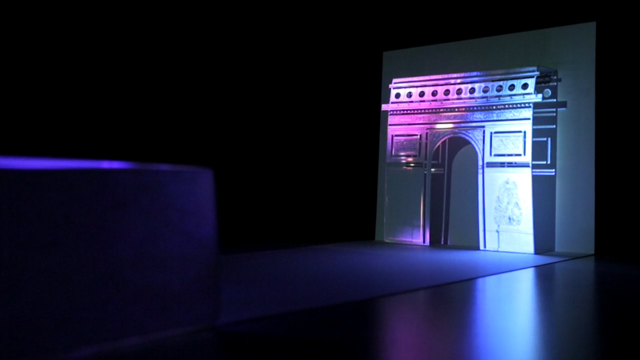 These kirigami pop-up cards are of landmarks from New York, Paris and London, which have been intricately laser cut and individually hand folded and trimmed. 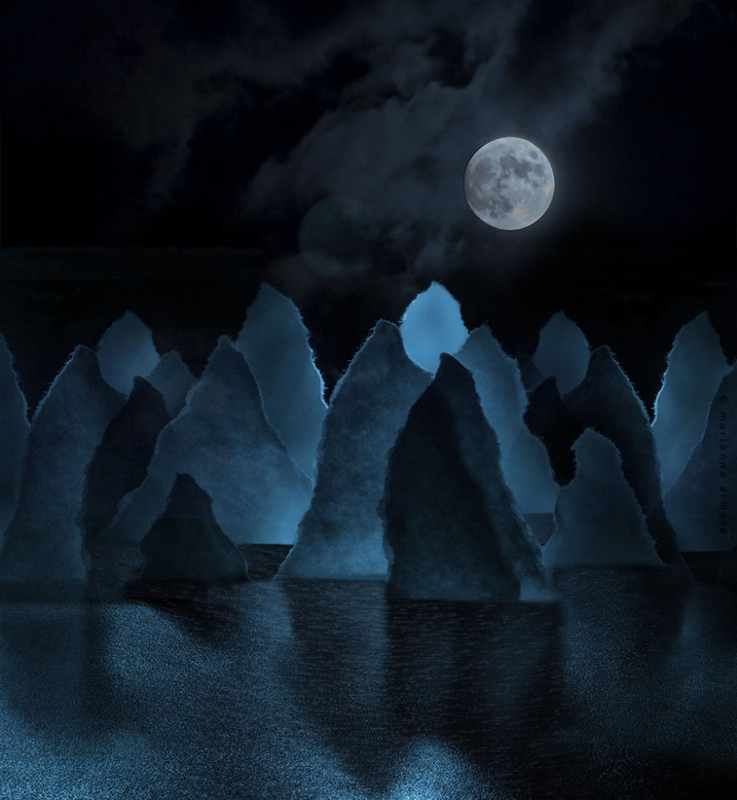 The card is A4 size and made from premium Italian paper and UK paper stocks. Be sure to check out the entire collection on Paper Tango. In an every day scenario of receiving mail, it can become fairly common to automatically discard an envelope, and in most cases only seek to review the contents within. For Stephen Sollins this, however, would not be the case. 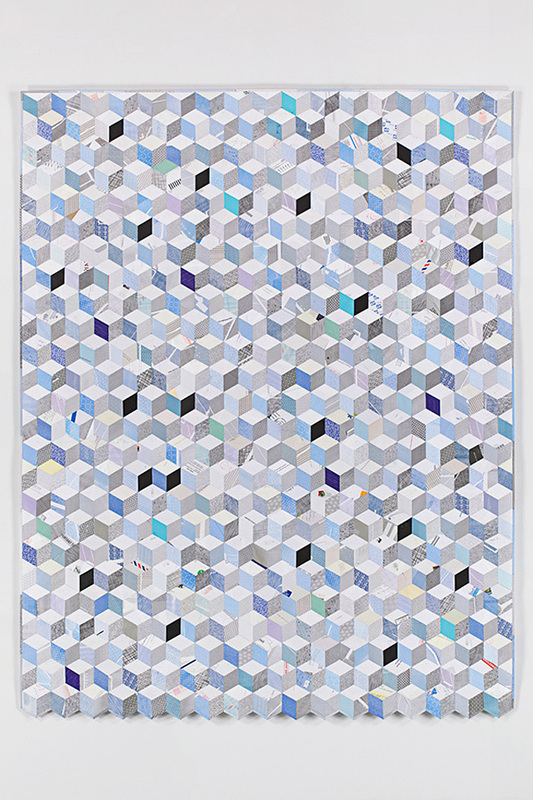 He has taken paper envelopes that would otherwise be stacked high at trash sites and has instead recycled and transformed them into lovely traditional quilts that use geometric forms as patterns. With a fascination for machines, especially those with wheels, similar to the ones found in Clockwork Love Jewelry, Bradley N. Litwin discovered his passion for the function surrounding mechanical design. He is inspired not only by the beauty of the geometric relationships of each moving part, but also in how they are assembled and juxtaposed, as predicated by their function within a system, and the evolution of mechanical design. From that passion he has developed MechaniCards®, which are miniature, hand-operated, kinetic sculptures, designed and produced in limited edition. 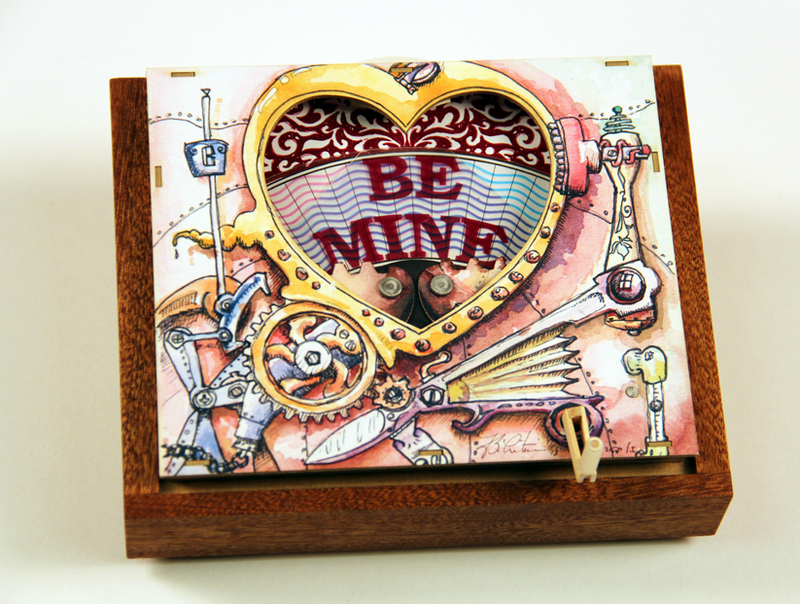 This piece, Steampunk Valentine, is the second MechaniCard® design introduced in 2013. It is a combination of Victorian mechanophilia and futuristic fantasy, in a timeless and plaintive pursuit of romantic bliss. CoupleOf is an Israeli based shoe brand that is showcasing life size pop-up paper versions of the shoes alongside the shoe collection which were designed by architect Nadav Bignitz. Pictured here is the CoupleOf "Lily" laced shoe. 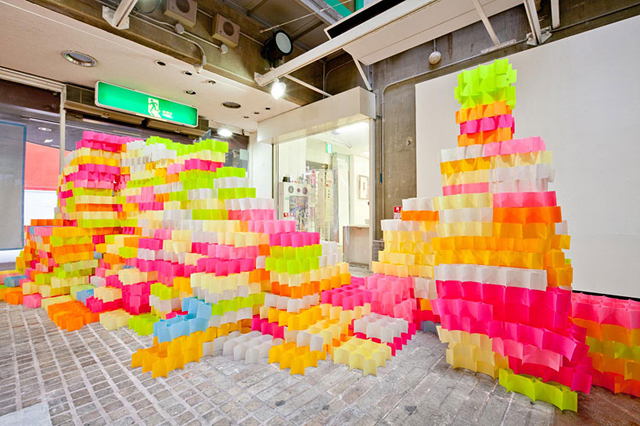 Yo Shimada is a designer from Tato Architects where his recent installation project 'Post-It Structures' was manifested in cooperation with students of Kyoto University of Art and Design. It is now on show at the gallery artzone in kyoto city, the installation was composed of 30 thousand cells of post-its in bright, fluorescent colors that were adhered to one another to form building components, the result being a wall-like structure running through the gallery.